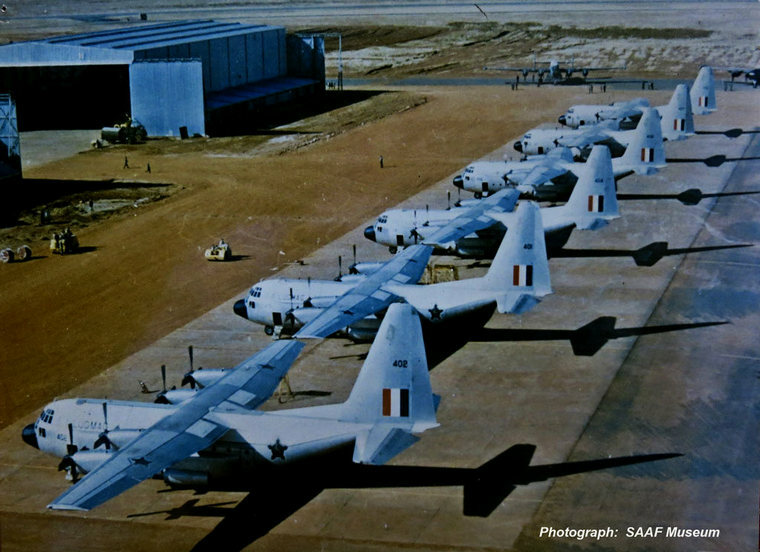 This year marks dual milestones for SAAF 28 Squadron, namely 75 years since its formation during World War II and the arrival of its venerable Hercules C-130BZ fleet 55 years ago. Some 350 guests including Chief SAAF, Lt. Gen. Fabian (Zakes) Msimang and former commanding officers, along with numerous squadron veterans gathered to celebrate at AFB Waterkloof. Officer commanding Col. Gerrie Engelbrecht read a poignant entry dated 1st of June 1943 in the War Diary: "In humble surroundings at SAAF Base Depot Almaza, Cairo, Middle East, 28 Squadron is Born." At the time, it operated Avro Anson, Wellington and Dakota C-47s aircraft, and even participated in the Berlin Airlift. In January 1963 the squadron received the first of its brand new Lockheed C-130BZ Hercules aircraft, to be based at Waterkloof. True to its motto, Portamus (Latin for: We carry), the Hercules transported people, equipment, vehicles, food and medicine across Africa. 28 Squadron crews also flew mercy and humanitarian missions, weather research flights and long-range search and rescue operations. As Col. Engelbrecht affirmed: "The mandate of the squadron is still to support the government by defending the country, contributing to regional safety within the African continent, and supporting the people of South Africa." 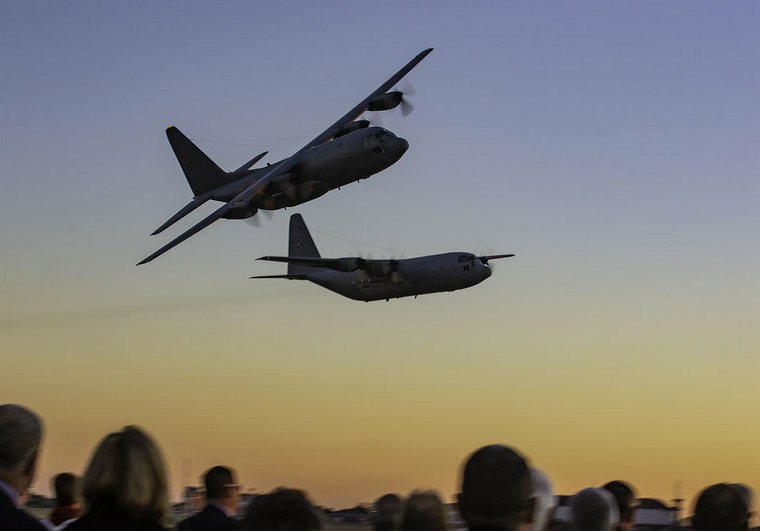 At dusk a pair of Hercules aircraft approached at low-level. Significantly one was flown by the squadron's first-ever female commander. "The squadron truly opened up for all the children of South Africa who aspire to serve the country through different aviation careers," he concluded.